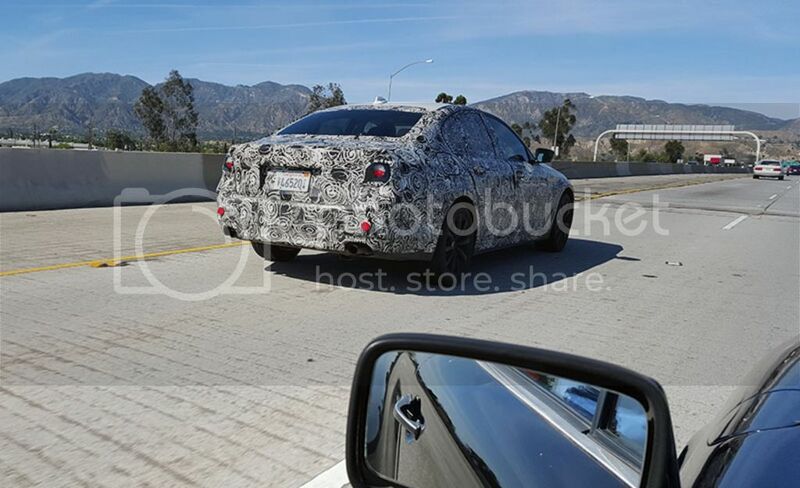 Sorry for another BMW post but I spotted this disguised BMW on the freeway last week and snapped a few quick photos. Driver waved at me as I went by. I understand that the crazy swirly pattern is supposed to make it hard to see the actual body lines, but those crazy swirls made it stick out like a sore thumb. I like the car in your mirror much better! 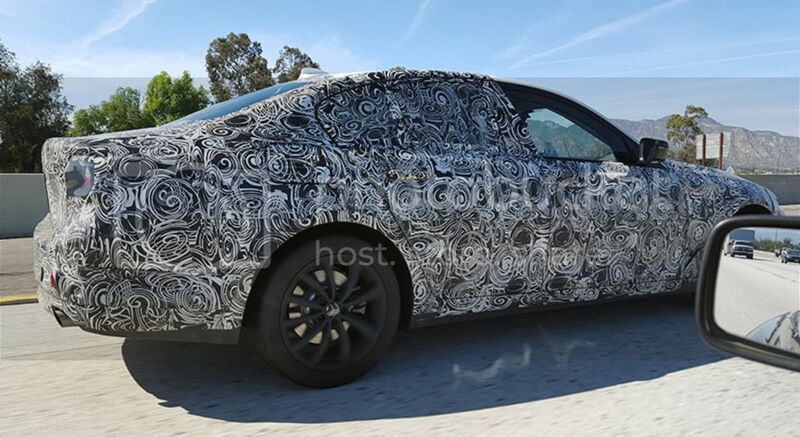 I have seen BMW's in small groups with that "wrap" pattern a least twice before on CA freeways the last 2 years. Yesterday on the 5 I saw a single larger SUV with a large front end "bra" type cover & no other camo & all 4 windows down. It had Ohio Manufacturers plates so I believe it was the next Honda Pilot. I saw an m2 in Asheville recently out of camo and saw a x4 about 6 months before they came out downtown Greenville. Living near the plant in Spartenberg leaves unique BMWs to become rather common even before production. A couple workers drive i8s around and the rare m coupe clownshoe can be seen about twice a month. Even with how ugly the camo is, I'm sure the end result will still be pretty offensive. I'm really surprised this caught your attention. OMG ... who did this & why? The factory. It's an old technique that goes way back, they even used to use camo like this on ships. It makes them stand out like a sore thumb but the point is it hides the shape and lines which is the most important thing with a prototype. I live fairly close to BMWs North America factory where they produce (unless one in China or Russia came online in the past few years) every single worldwide X model aside from the X1. We see new models like the x4 before release wrapped in camo around here somewhat often, sometimes they're just parked in the Costco parking lot accumulating test miles on trips to an employees grocery trip lol. Some companies are creative and do things other ways however. And Porsche just paints the car Matt black and covers the lights. Here is an example of camo and not on the latest new Porsche, the second gen panamera. Huh ... very interesting. Thanks for the reply, BigJake. Cheers.